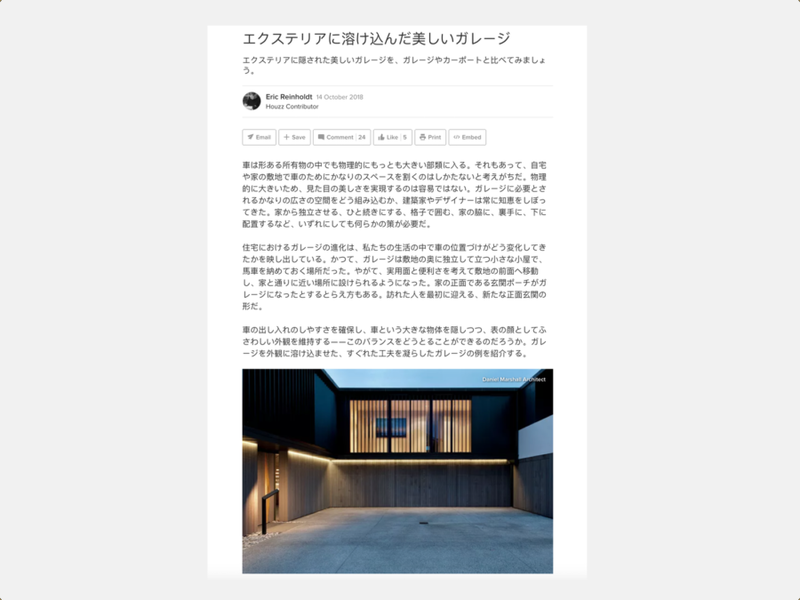 We are excited to be featured on Houzz's Japanese Ideabook article "エクステリアに溶け込んだ美しいガレージ". Our very own Lucerne and Elmstone house was featured. A textbook example of how functional spaces can enhance the beauty of a building through bespoke design.